The Citizen Leader: Why she/he is so important today! Over the past 25 years, leadership experts Jim Kouzes and Barry Posner have been collecting millions of data points seeking to identify the qualities that people look for most in a leader — that is, in someone they would willingly follow. The operative word here is willingly. For 15 of those years, I’ve led a corporate seminar based on their work — The Leadership Challenge Workshop. I begin each session by asking my participants exactly the same question: what are the qualities you look for in a leader whom you would willingly follow. Time and time and time again, the results are the same. Among the top qualities that people look for most in a leader they would willingly follow are the following: honesty — meaning truthfulness in word and deed, and inspiration — they uplift the spirits of the people they lead. Unfortunately, truthfulness and inspiration are not the qualities that a great many of the people I work with say they experience in their daily lives — in and outside of work. Let’s think about this. Let’s take a sober look at the world around us. Even a casual reading of the news and the blogs over these first 12 years of this 21st century offers a myriad of stories of women and men in every office of leadership in all of our institutions – government, business, media, sports, religion – who have supplanted the truth in order to pursue their ends and then taken to badmouthing their detractors — to impugning their integrity. Hardly the stuff of truthfulness and uplifting people’s spirits. As I look at the world around us today, it seems to me that we are more apt to experience a steady stream of fabrication and misrepresentation and then the maligning of those who want to set the record straight. Lying and maligning — are they emerging as new national norms rather than as exceptions? Are our inalienable rights being revised to read life, liberty, lie and malign all in the pursuit of power, profit and personal gain. It matters. Truth matters. Civility matters. Are we really becoming a culture of cheats and bullies? It certainly seems we are becoming a culture that condones if not silently accepts and even applauds those who prosper regardless of the physical, emotional, spiritual or financial damage their actions and words leave in their wake. The impetus for my work and my book The Citizen Leader: Be the Person You’d Want to Follow is to get the attention of the many people, especially our young people, who are at risk of being swept up if they haven’t already been swept up by this culture of cheating and bullying and to ask them to pause and examine the kind of world their words and actions are creating for themselves and for the people around them. I believe that we’re all co-creators of the worlds in which we live and work. Our homes, our schools, our places of work, and our places of worship, our teams, our neighborhoods and our towns — all of these constitute the communities that make up our world. Through our words and actions every day, cheats and bullies included, we contribute to the character of these communities, and shape the world in which we live and work, for ourselves, our families, our friends, our colleagues, our coworkers and for our fellow citizens. Now, even for those among us to whom cheating and bullying are repugnant, it still takes a strong and steady sense of self to deflect the forces that might tempt us to do otherwise. Howard Gardner, the eminent authority on education at Harvard, said recently that in the past 20 years that he has been studying professional and academic integrity, “the ethical muscles have atrophied” and that in part because of a culture that exalts success, however it is attained. Even for those among us to whom cheating and bullying are repugnant, it still takes courage to speak up and push back from one’s core when faced with individuals in positions of power who would compel us to deviate from truthfulness or civility for the sake of short-term interests or gains. I wrote The Citizen Leader in part for the young woman who fessed up to me during a seminar three years ago that she had been told to lie about product test results because her boss needed better results in order to continue to have their project funded. And she did. She intentionally misrepresented the truth out of fear that not to do so would be a career-limiting move. Now, I know that I do not have the power to change the world (no matter how much I talk), but I do have the power to shape my world and be the person I can say proudly I’d want to follow. I have written The Citizen Leader to underscore this message. I believe that for each one of us not to take our power seriously, not to act as if each one of us is a co-creator of our reality and by extension of our collective reality, then we surrender our character — we abandon the one thing we can truly call our own. By way of The Citizen Leader, I encourage you and my readers and the people who attend my seminars to be clear on who you are and what you stand for today, so that today and tomorrow, you speak and act in ways that that are entirely consistent with your core. We are the final arbiters of our actions. That power — our power — cannot be overwhelmed by the dictates of others. When we own and embrace that, then we stand to create great places where we and the other members of our communities will want to live, work, play and thrive today and well into the future. This is my core belief. This is my wish for each one of us. This is the foundation of citizen leadership. 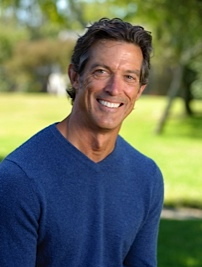 "Peter Alduino has one of the deepest hearts and finest minds of anyone I’ve ever known. 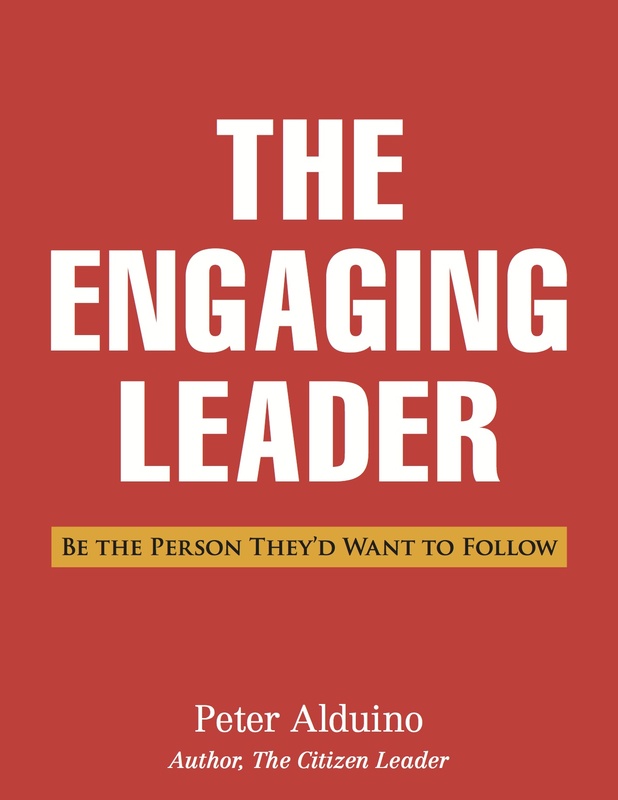 The Citizen Leader is destined to become a leadership classic." 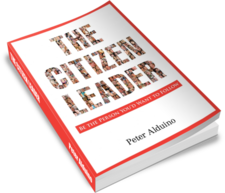 "The Citizen Leader would be wonderful reading for every college and high school student in America and why not their parents as well." "Everyone should take the time to read this book especially anyone that owns their own business or anyone in charge of other people." Copyright © 2013 by Bridge Group Communications, LLC.